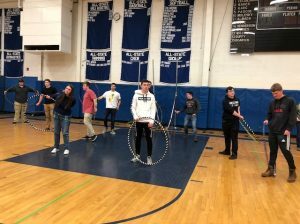 Connecticut’s top hula hooper for over a decade. With your choice of glitter, glow or fire hoop and costumes tailored to fit your event. Help set the mood for any event. Great for festivals, clubs, corporate events, parties. Great for sideshows, intermissions, grand openings, and more. 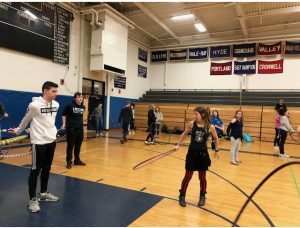 Have your guests or patrons try their hand at hooping. Hoops for all sizes and 1-on-1 assistance in generating ones hoop flow. Great for all ages and events with a moderate to large space. Ambient, choreographed or interactive hooping.